The terms food allergy and food intolerance are often confused as they can have similar symptoms, but they actually refer to two very different conditions. Whilst both ‘food allergy’ and ‘food intolerance’ broadly describe an adverse reaction that occurs in response to exposure to a particular food, there are a number of important differences between the two conditions. A food allergy results when the body’s immune system has an abnormal reaction after exposure to a particular food protein. Exposure may be via eating the food. However, in severe cases it may also be triggered by simply touching the food. In allergic individuals, the body’s immune system responds by releasing various chemicals into the blood stream, which can affect many different parts of the body. These chemicals are responsible for the often-severe symptoms associated with a food allergy including an itchy skin rash (hives), swelling of the lips, mouth and tongue, vomiting, diarrhoea, abdominal cramping and even breathing difficulties. Extremely severe allergic reactions to food, known as anaphylaxis, can even be life threatening and require urgent medical attention. 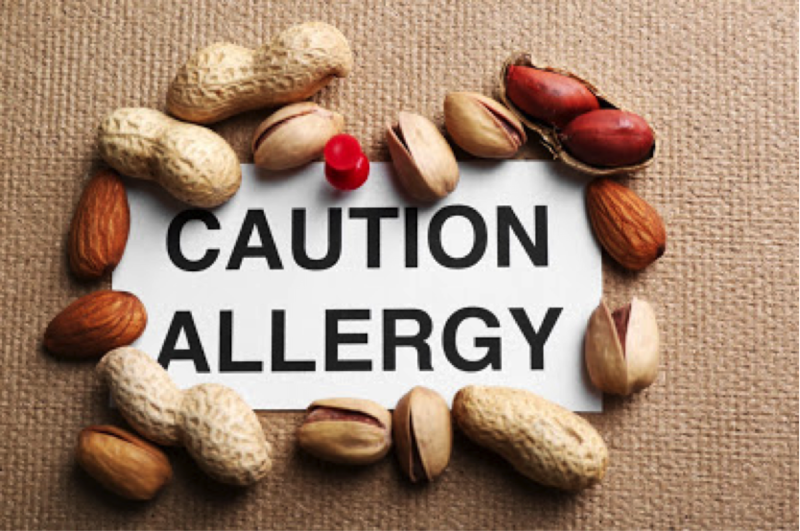 Onset of symptoms in someone with a food allergy can be extremely rapid (within minutes), however, delayed reactions are also known to occur (taking several hours). Exposure to even trace amounts of the responsible food protein is often enough to trigger activation of the immune system and result in symptoms. For this reason, strict avoidance of the food protein is necessary and being able to confidently read and understand food labels is key to avoiding unintentional exposure. Food allergies are typically first recognised and diagnosed in infancy or early childhood and new diagnosis as an adult is rare. True food allergies are diagnosed by an allergist, who uses a detailed medical and symptom history in combination with skin prick testing. Food intolerances on the other hand have many different causes, with the key difference being that they DO NOT involve activation of the body’s immune system. The symptoms of food intolerance predominately affect one system. Gut symptoms due to food intolerance typically result due to components within a food (such as FODMAPs) not being digested and/or absorbed well. This in turn can result in higher levels of gas production by bacteria that live in the large intestine or cause excess water to be drawn into the bowel, leading to symptoms such as bloating, abdominal pain and changes in bowel habit (i.e. diarrhoea or constipation). The skin can be affected by certain chemicals found naturally in or added to food, for example the natural chemical group, salicylates can trigger hives and/or asthma in sensitive people. Despite the symptoms of food intolerance being unpleasant, they are not life threatening. Onset of symptoms is also usually quite delayed (several hours to several days) and may not occur every time the offending food is consumed. 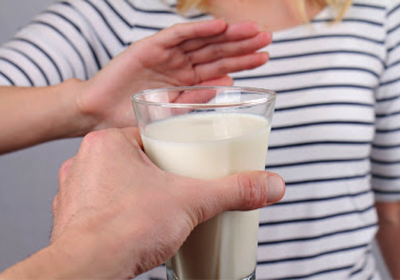 The symptoms of food intolerance are therefore ‘dose responsive’, meaning that symptoms will not be experienced until a certain amount or ‘threshold dose’ of the food has been eaten. 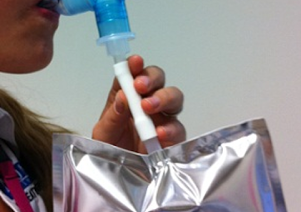 This ‘threshold dose’ can vary significantly between individuals. First onset of a food intolerance can occur at any age, but unlike food allergies, food intolerances cannot be diagnosed using any specific test. IgG blood tests, saliva tests, hair analysis, vega testing, iridology, kinesiology etc. are all unreliable tests for food intolerances that are not scientifically valid. Elimination and food re-challenge dietary approaches, such as the low FODMAP diet, are therefore often necessary to pinpoint particular foods that may be triggers of food intolerance symptoms. As these diets can be overly restrictive, it is highly recommended that individuals with suspected food intolerance consult with a dietitian before attempting to modify their diet. A dietitian will help ensure that these diets are implemented in such a way that they are effective but also provide adequate amounts of essential nutrients. Turnbull JL, Adams HN, Gorard DA. Review article: the diagnosis and management of food allergy and food intolerances. Alimentary pharmacology & therapeutics. 2015;41(1):3-25.